Eastern China is most popular for the busy streets of Shanghai, but there’s much more to explore in the region, including laidback beaches and scenic mountains. Shanghai’s best-known landmark is the waterfront promenade known as the Bund. There, you can find colonial architecture, modern skyscrapers, and some (fairly overpriced) bars. For more reasonably-priced nightlife, head to areas like Dongping Lu and Yongkang Road, which is popular among expats. 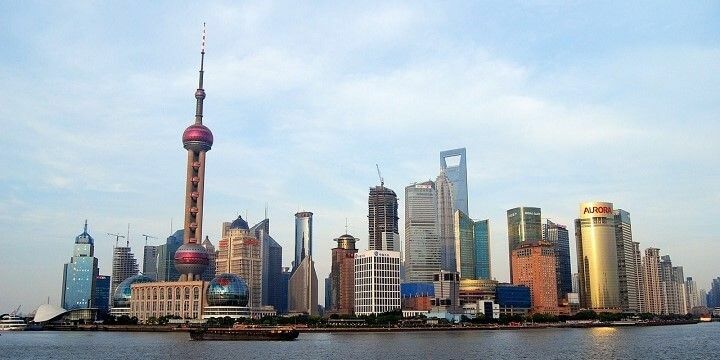 Shanghai is a great start for your trip to eastern China. You’ll see all of those districts and more from the observatory on the 100th floor of the World Financial Center. Once you’re back on solid ground, head to Yuyuan Garden to rejuvenate. The only surviving Ming Dynasty Garden in the city isn’t far from the Bund and is full of intricate bridges and colorful pagodas. Shanghai lies in the country’s Eastern Seaboard area, which also consists of the Shandong, Jiangsu, and Zheijang provinces. Head to the city of Qingdao to enjoy a cold bottle of Tsingtao, China’s best-known beer. Qingdao also boasts lots of great beaches, which hosted the 2008 Olympic sailing events and remain popular among watersports fans. 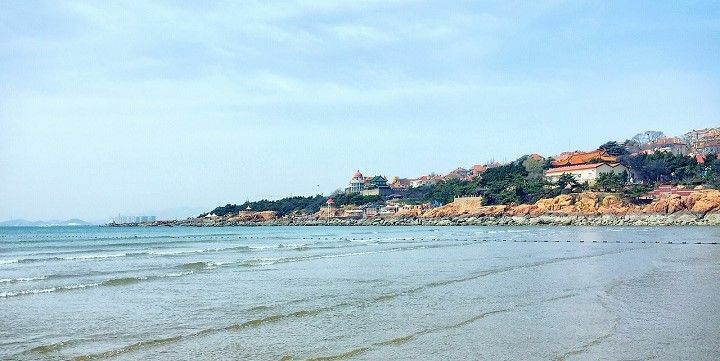 The city of Qingdao boasts lots of great beaches. If you’d rather enjoy the region from above, visit Mount Tai. The 1,532-meter-high peak is an important center for the Taoist religion; however, it now mainly caters for tourists, with a cable car, food vendors, and teahouses. With a coastline stretching over 800 kilometers, the Fujian Province is full of red cliffs, unique rock formations, and impressive waterfalls. Some of the best beaches can be found around Xiamen at the southeastern tip of the province. This area consists of the car-free island of Gulangyu, where you’ll find bright blue water and super soft sand. Gulangyu is a car-free island. 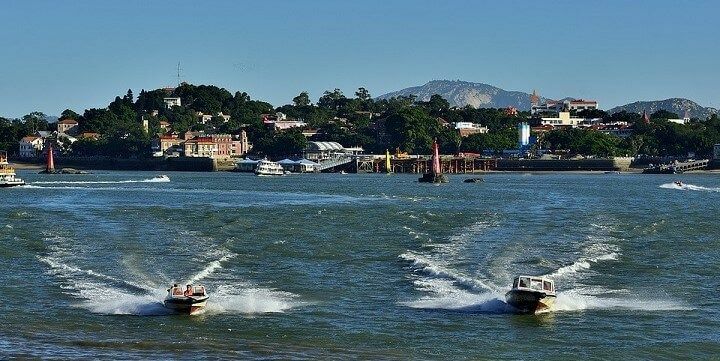 The Quangzhou area is another must-see in the Fujian province. Start by checking out the Kaiyuan Temple, the largest Buddhist temple in the province and home to the two highest stone pagodas in China. 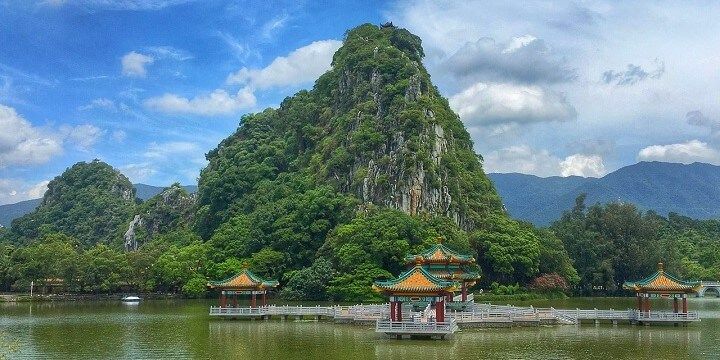 Then, take a challenging hike up the Qingyuan Mountain to see springs, caves, and religious monuments. This province’s main attraction is the city of Shenzhen. See as much of the city as possible by heading up to the 69th floor of the Meridian View Center or the nearby Nanshan. It’s also worth taking a short drive to beaches like Dameisha and Xiaomeisha for incredible colorful reefs. 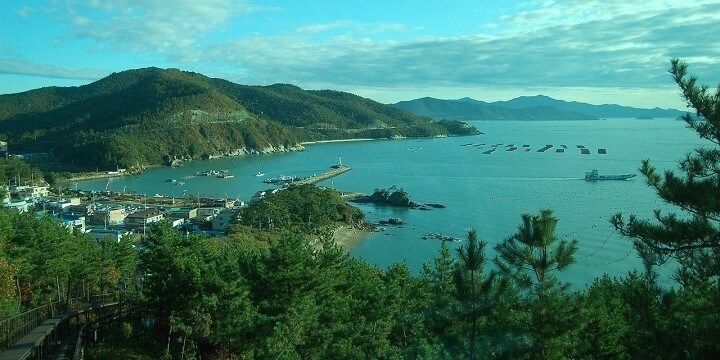 Dameisha and Xiaomeisha beach are known for their colorful reefs. Elsewhere along the province’s 450-kilometer-long coastline, you’ll also find the region’s most popular beaches, Dajiaowan and Sili Yintan, which make for the perfect peaceful escape. The Guangdong Province is also loved by hikers. The sacred Luofo Mountain National Scenic Area offers challenging trails passing waterfalls, caves, and mountains. Nature enthusiasts should also check out the Seven Star Crags Park for shimmering lakes, deep caves, and rugged crags. Seven Star Crags Park is a must-see for nature lovers. The Hainanese beaches are regularly voted among the best in China. 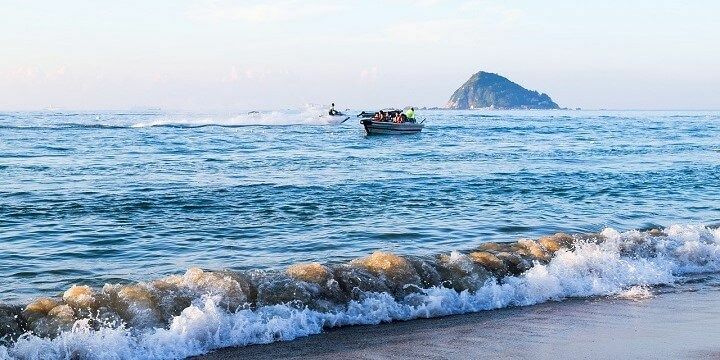 The stretches along the southern coast, such as Dadonghai, Sanya Bay, and Yalong Bay are the most popular, and are great for snorkeling, scuba diving, and paragliding. The Hainanese beaches are regularly voted among the best in China. If that’s not enough adrenaline for you, check out the Haikou Volcanic Cluster Global Geopark. Explore caves, climb to the peak of a dormant volcano, or stroll around lava villages, where you’ll find houses made from volcanic rock. 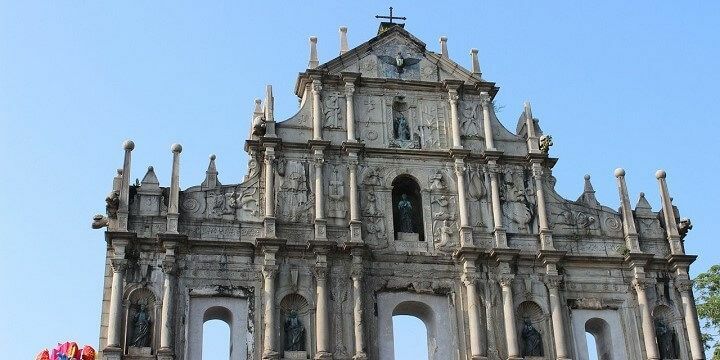 Macau is best known for its casinos along the Cotai Strip, but there’s much more to the area than slot machines. Its most famous landmark, in fact, are the Ruins of St. Paul’s, which was once a grand church, but burned down in the 19th century. The St. Paul’s church burned down in the 19th century. There’s also plenty of entertainment beyond the casinos and bars, such as the world’s largest water show, the House of Dancing Water, and the world’s highest bungy jump from a 223-meter-high platform on the Macau Tower. Make sure to see more than Shanghai!